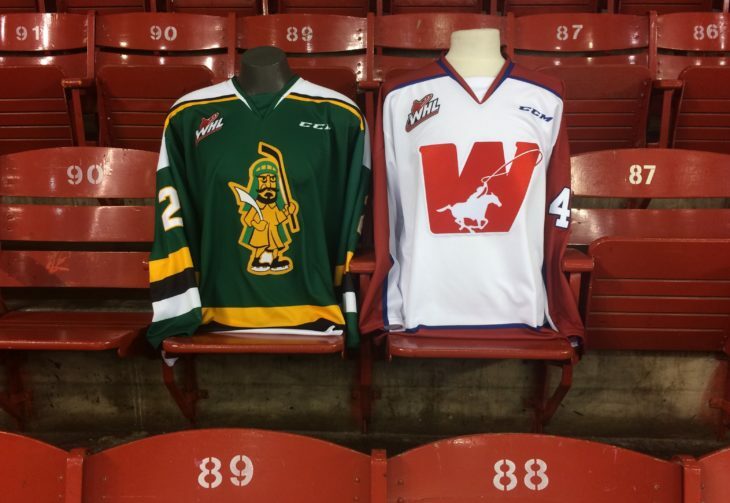 The final game of the Corral Series presented by Adrenalin Source For Sports is all set for the Wranglers and Prince Albert to battle it out in what could be the last competitive game in the Stampede Corral. Through the first two games of the series, the Wranglers are 1-0-1 with their most recent tilt a 4-3 triumph over the Regina Pats. Kaden Elder led the offence with a pair of goals with Mark Kastelic and Riley Stotts adding single markers. 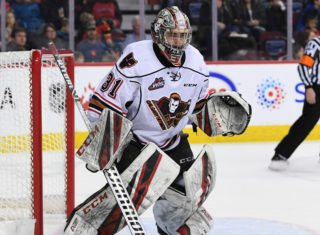 Stotts would break a 3-3 tie with 3:19 left to play and Jack McNaughton ended the contest with 33 saves for his 20th win. 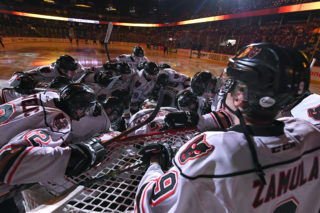 Tonight is the fourth and final regular season meeting between the Wranglers and Raiders. 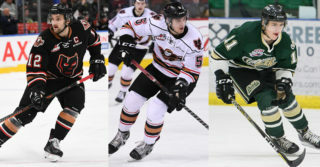 Prince Albert is 3-0 having outscored Calgary by a combined 19-7. Dakota Krebs (1G, 2a) leads the Wranglers with three points against the Raiders while Luke Coleman (2A), Stotts (2G) and Kastelic (1G, 1A) have two points each. 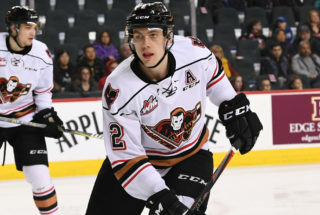 Prince Albert continue to lead the entire WHL with 88 points, and are the only club who have clinched a playoff spot so far. 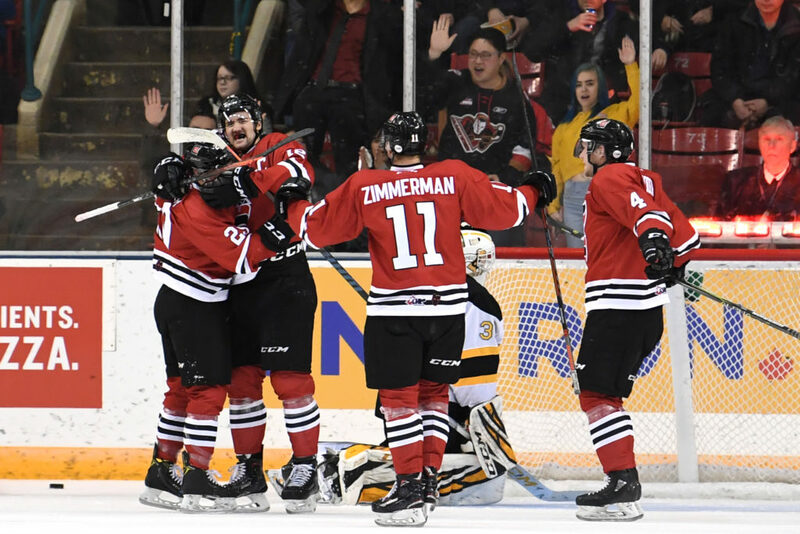 With a 7-2-0-1 mark in their last ten contests, the Raiders are riding a two-game winning streak with their most recent win being a 5-1 decision over the Oil Kings on Monday. The Wranglers are also riding a two-game win streak as they look to continue to climb the standings and end the Corral Series on a high note. “It’s been special to be a part of this series,” head coach Steve Hamilton said. “I anticipate a good crowd and there are lots of reasons to be excited and motivated for this game. 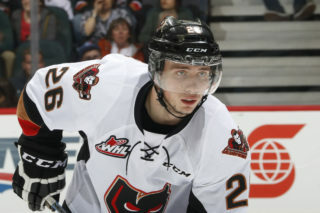 The Wranglers will return as the Hitmen this Sunday for a 4 p.m. tilt against Moose Jaw back at the Scotiabank Saddledome. Kaden Elder (4G, 8A) is riding a six-game point streak. Mark Kastelic (7G, 5A), and Riley Stotts (1G, 5A) all have points in five straight games. James Malm (1G, 2A), Luke Prokop (2A) and Riley Fiddler-Schultz (2A) all have points in back-to-back games. Jack McNaughton is 5-0-1-0 in his last six starts with a 2.33 goals against average and a .921 save percentage. Mark Kastelic is three games short of 250. Egor Zamula needs two assists for 50 while Carson Focht is three assists away from 50.